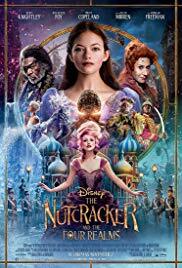 Tony's Talking Pictures Blog: New on Blu-ray and DVD January 29, 2019 "Hunter Killer" and "The Nutcracker and the Four Realms"
New on Blu-ray and DVD January 29, 2019 "Hunter Killer" and "The Nutcracker and the Four Realms"
In the film, An untested American submarine captain teams with U.S. Navy Seals to rescue the Russian president, who has been kidnapped by a rogue general. But they didn't. They made a another version of “Olympus Has Fallen” or “London Had Fallen” this time the action takes place underwater. 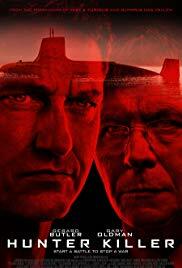 Gerard Butler is the stereotypical “I'd rather be right than follow orders” captain of the nuclear sub. In almost every scene he's defying somebody in charge. Somehow he convinces his Russian counterpart to defy his orders and do what needs to be done. By the film's predictable ending, I was asking myself, after all the loss of equipment, life and time... couldn't all of this been avoided with a few phone calls? “Hunter Killer” gets a D and is rated R.
Following the footsteps of her mother, a young woman is transported to a magical land consisting of four realms. “The Nutcracker and the Four Realms” isn't the jaw-dropping Disney holiday film you might think it is. The movie offers up a nice return to a land, like Oz, where magic rules, terrifying creatures roam and everyone is waiting to be rescued from an evil female warrior. The problem with the film is it concentrates far too intensely on the letter of its script and had no room for simple whimsy. This is a holiday movie and it plays out like a grumpy elf reading “The Night Before Christmas.” All the words are there but the presentation is sterile and detached. I think the film will resonate here and there with small kids, but this needed to be a Christmas experience for everyone, but the audience just has to work too hard to get through it. “The Nutcracker and the Four Realms” is a beautiful paining, but after 10 minutes of looking at it, it becomes overly confusing, hard to understand and lacks heart.